Tourna Big Hitter Silver is a german engineered soft and durable polyester. This is the type of string many pros are using today. Allows you to take huge, powerful swings and the ball still comes down in the court. The durability is top-notch, the best ever tested by the USRSA other than kevlar (5/2004 test). Big Hitter also tested #1 in resistence to movement, so your strings won't slide, increasing power and string life. 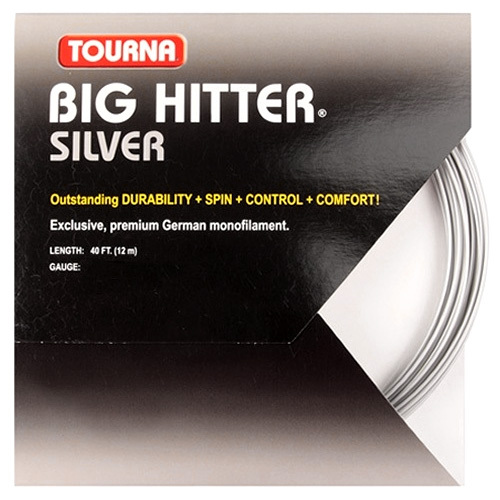 This is an advanced string for powerful hitters, looking for a lot of spin. Silver only. 16 and 17 gauge available.